Wolf Bronze by Robert R. Copple "Chance Reunion"
Home > IRISH WOLFHOUND TREASURES > Wolf Bronze by Robert R. Copple "Chance Reunion"
Many Irish Wolfhound owners love the Wolf. 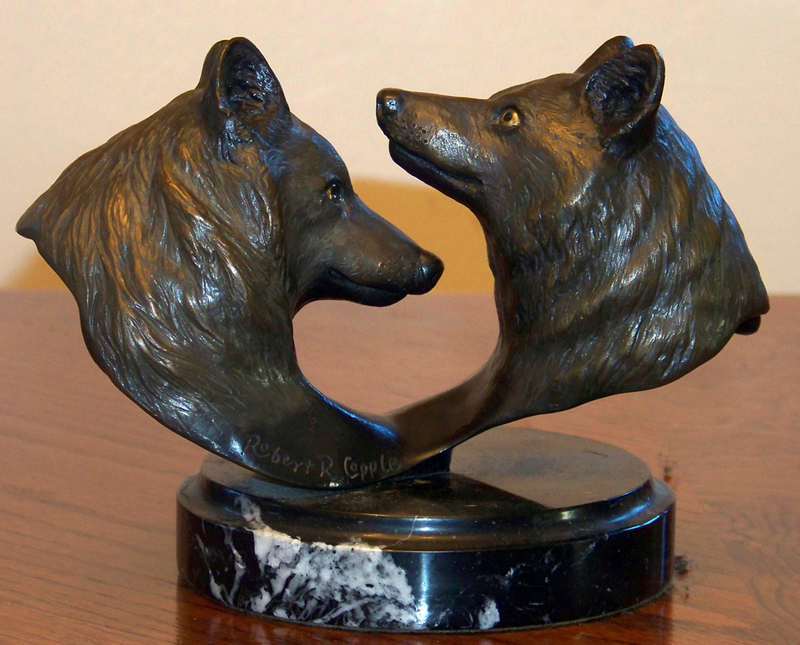 Robert Copple created a limited edition of 200 of "Chance Reunion" as a series of a bronze on marble with a companion Limited Edition Print which is no longe available. The edition number is of this bronze is 43 out of 200. Signed by the artist.